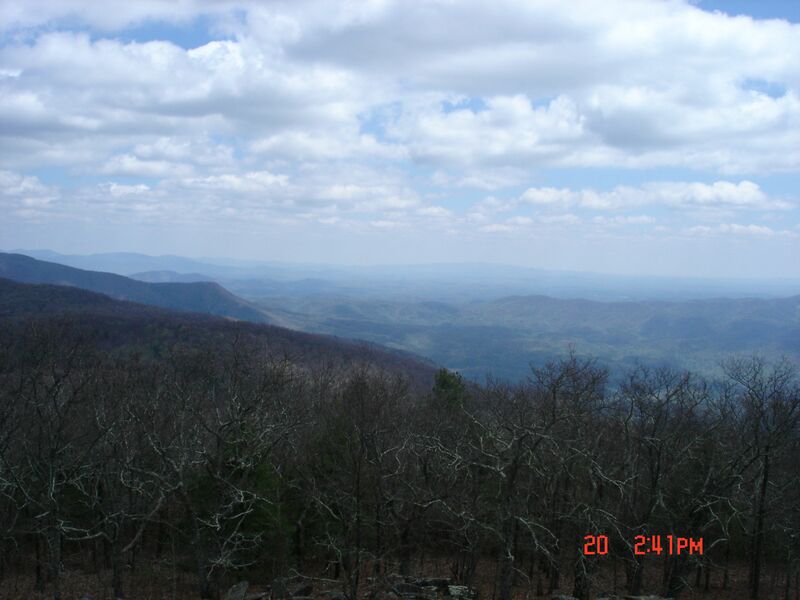 The Grassy Mountain Tower Trail is a mountain climb to the top of Grassy Mountain and . 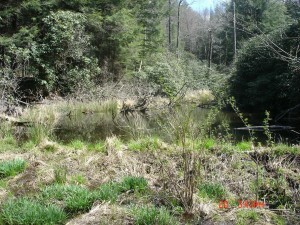 The trail head can begin at one of two points. 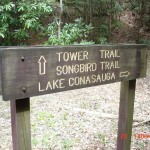 One can begin on the Lake Conasauga Trail from the Lake Conasauga Campground, hike across the Lake Dam and from there to the Songbird trail connection which connects to the Tower Trail, or you can begin on the Songbird Trail loop and follow the signs to the Grassy Mountain Tower Trail. 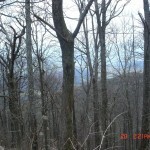 The trail is a consistently uphill climb, but is not extremely steep at any point. 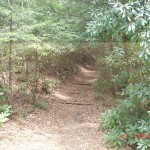 The trail brings hikers along the Grassy Mountain ridges, through deep forest, and along more open scenic pathways. Finally, the path will reach the top ridge of Grassy Mountain before opening up onto a gravel fire road. 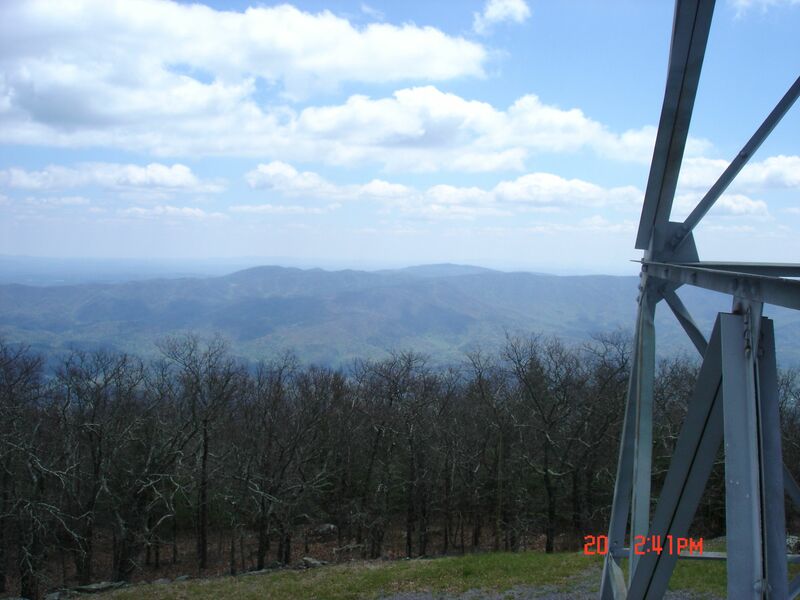 From the fire road, the Tower and views is a short uphill walk to the Grassy Mountain summit. 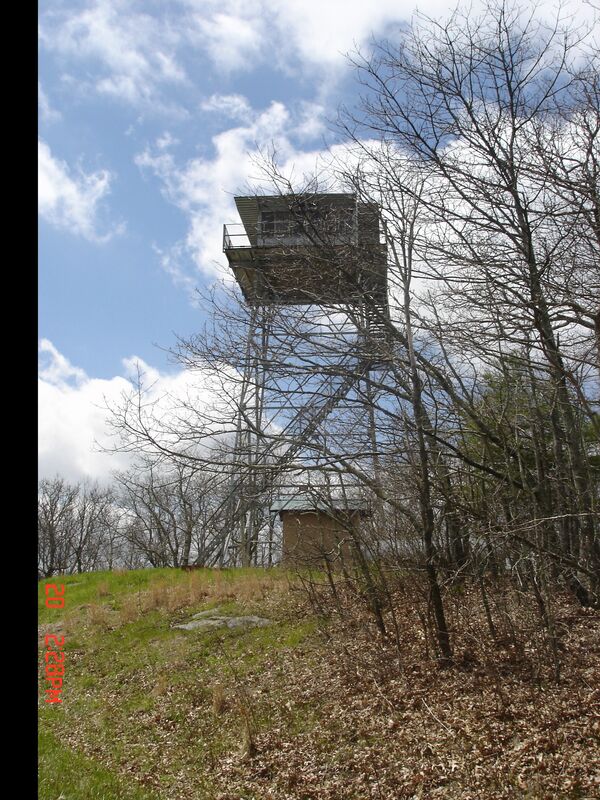 While hikers cannot go into the tower’s observation platform (its still in use), hikers can climb up the exposed stairway of the tower for some of the best views of the Cohutta Wilderness. This climb is easily worth it just to see the views from the Tower steps. While at the top, also check out the rock faces just past Tower. On the return trip, follow the same path down to the Songbird Trail, but if starting at Songbird Trail, you can finish the loop back to the Songbird parking area as the distance is almost the same as returning down the original path. At approximately one mile in from the Songbird trail head, the trail appears to lose its apparent course momentarily. 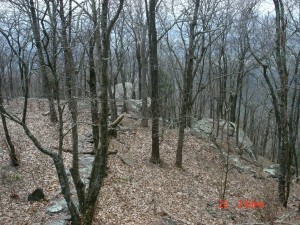 As the climb enters a small valley, there will be a number of boulders that cause the trail to appear to disappear. Be aware, however, that at the point where the trail becomes difficult to find due to the large boulders, the trail does not continue straight over the boulders, as one may think. 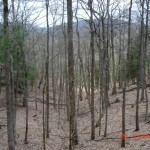 Instead, it is actually a switchback that continues along the next ridge. 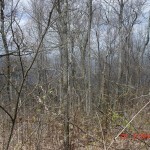 It is relatively easy to find, but we did experience a brief moment of confusion as we looked for the trail.